During this week's congressional recess, many U.S. senators and representatives headed home to hear from their constituents at packed town-hall meetings. So where are Vermont's three members of Congress? Nowhere nearby. That's for sure. Sen. Patrick Leahy (D-Vt.) and Congressman Peter Welch (D-Vt.) are traveling abroad on official business. Leahy's midwinter excursion takes him to the sunnier climes of Cuba and Colombia. Welch is one of 30 members of Congress jetting to India to observe the impact of U.S. programs there, according to his office. As for Sen. Bernie Sanders (I-Vt.), he's not on a congressional junket this week — but neither is he anywhere near home. Over the weekend he was in California giving speeches and signing copies of his book. Later this week he's in Kansas, holding a town hall in Topeka, according to media reports. None of the three is holding a single public event in Vermont. OK, sometimes you just need to get away. Many congressional trips have a serious purpose. As for Bernie? Well, after all, he is the leader of a national movement, which carries some heavy obligations. And if he can sell a few books while he's at it, hey, icing on the cake. But here's the problem: The trio doesn't exactly have a stellar track record for holding public events on home soil, though Welch has the edge on this two colleagues. Sanders has made sport of Republican lawmakers who have refused to hold town halls or walked out of events because of the vocal opposition they've faced from constituents. But Sanders himself hasn't held a live, in-person town hall in Vermont since 2014, according to state director Phil Fiermonte. He used to hold them on a regular basis — before he ran for president. "Bernie has held more public town meetings in Vermont than any elected official in Vermont history," Fiermonte claims. But then came the campaign that turned Sanders into a progressive rock star. Since then, he has held many a town hall, but they're always in other states. It's hard to blame him for taking the lead in a national movement promoting his principles. But, still, he does get paid to represent the people of Vermont. It's fair to ask when he'll start acting less like a touring arena rock band and more like the junior senator from Vermont. 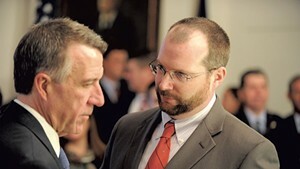 To hear Leahy spokesman David Carle tell it, Vermont's senior senator is omnipresent in the state. "He has always had clear lines of communication with Vermonters in a variety of ways," Carle says. 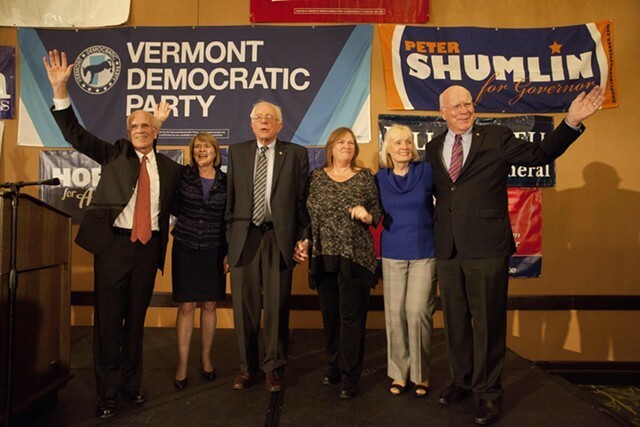 "He constantly meets with Vermonters ... at home in Vermont and on Capitol Hill. He closely monitors Vermonters' messages to him ... [and] Vermonters always feel free to approach him even on the street, at church, and at [grocery stores] and gas stations." It's admirable that the Great Man actually circulates among the unwashed, but those informal encounters don't lend themselves to public or media scrutiny — or close questioning. Leahy rarely, if ever, holds actual town hall-type events. And he's held just one public engagement in Vermont — a pre-Christmas press conference at Burlington International Airport — since winning reelection last November. Outside Vermont, many U.S. senators don't hold town hall events because they operate on a larger scale. This makes sense in a state like New York, where a senator has a constituency in the tens of millions. But in Vermont, the constituency is the same for senators and representatives. No excuse there. As for Welch, his office touts an ongoing series of "Congress in Your Community" events around Vermont — a total of 13 in 2016 alone. "These are in addition to his regular public events, which are open to Vermonters with a few limited exceptions," according to spokeswoman Kirsten Hartman. In terms of open constituent engagement, Vermont's members of Congress aren't much different than those oft-criticized Republicans. Last week, as Sherlock Holmes would say, brought a "curious incident of the dog in the nighttime" — the dog that failed to bark. In this case, the reticent dog was none other than Gov. Phil Scott. He spent two days in Québec City in meetings with Premier Philippe Couillard. When Scott was actually in Vermont, the political space was dominated by talk of immigration enforcement. What there wasn't was talk about his budget plan, currently foundering in the legislature. It's raising eyebrows around the Statehouse in a manner that transcends the usual partisan sniping. Democrats, Progressives and even some Republicans are puzzled over Scott's passive response to legislative opposition. This is, after all, a plan he touted as vital for a prosperous, affordable future. Scott's approach is in contrast to other recent occasions when a governor's plan has run aground. In 2013, Democratic governor Peter Shumlin's proposed cut in the Earned Income Tax Credit got a cold reception from the Democratic majority. Still, "He was going around the state, pounding away at the legislature," recalls Sen. Chris Pearson (P-Chittenden), who was then a state representative. "With Gov. Scott, he just sort of plopped it on our desks and walked away." Former Democratic House majority leader Floyd Nease recalls a Republican governor trying to bypass a recalcitrant legislature. "Governor [Jim] Douglas used to make his case to the public when he felt [budget] negotiations were breaking down," Nease recalls. "These days I guess you just tweet about it." Sen. Kevin Mullin (R-Rutland) says Scott's brief tenure is partly to blame for his plan's failure. "I don't think there was enough preplanning and enough getting buy-in from people," Mullin observes. "If you're going to try to sell sweeping change, it takes a lot of people with boots on the ground — going out and meeting with people across the state to sell that approach — and I just don't think there was enough time." Scott insists his plan is alive and well. "The governor remains committed to the proposals he's put forward in his balanced budget and expects the proposals to be considered for this year," says spokesperson Rebecca Kelley. "He is in regular communication with legislators across all parties to further communicate and champion his budget goals." That's not how many lawmakers see it. "Talking to colleagues on House Appropriations and elsewhere, they're really having to start from scratch," notes Pearson. "As I understand it, folks have asked the governor if he has a second draft that we can work from, and I gather the answer is, 'No, we do not.'" Republican lawmakers are painting Scott's plan as a conversation starter, which is quite a comedown from a bold effort to reshape state finances. "We've got to have a serious conversation about school spending in Vermont," says Rep. Peter Fagan (R-Rutland City), vice chair of the House Appropriations Committee. "[The governor] has started a conversation, and we need to have it." In the meantime, however, the likely outcome is a placeholder budget, stripped of Scott's financing plan and his desired funding increases for early childhood care and higher education. "I fully expect that it will be a flat budget," says Mullin. "I think it's going to be a year full of a couple steps forward and a couple steps backward." Which would be a tepid outcome in a situation the governor describes as critical and requiring quick, bold action. The specter of potential federal cutbacks is haunting the Statehouse these days. 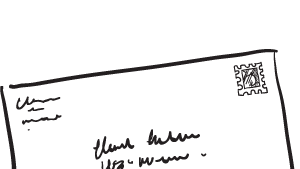 The potential is for budgetary devastation that will wipe out all of state officials' best-laid plans. It's almost too big to get your head around. But a tangible object lesson is at hand — a useful microcosm of larger events yet to come. The state Department of Disabilities, Aging and Independent Living is making painful cuts in its VocRehab program, which helps people with disabilities achieve stable employment. This process has nothing to do with that man named Donald Trump. For roughly a decade, DAIL has been successfully dipping into a pool of federal funds unspent at the end of each fiscal year. The money, from the U.S. Department of Education's Rehabilitation Services Administration, has helped to fund a support system for people with disabilities, including job training, on-the-job support, employer recruitment and transportation. "Our program is an incredibly strong program with incredibly strong outcomes," says DAIL commissioner Monica Caserta Hutt. "[So] we have been able to articulate the need for additional dollars." Last year was different. "We made our application to RSA but received much, much less than we had asked for," Caserta Hutt says. "We requested $5.8 million, and we received $1.4 million." DAIL managed to stretch the dollars and maintain its programs for a while. But in the new fiscal year, cuts will have to be made. Caserta Hutt estimates that 800 to 900 Vermonters will lose their support services, many of whom may lose their places in the workforce. "Unless you've been disabled and have had the long struggle of regaining a place in the workforce, it's hard to appreciate or imagine what it's all about," says Rep. Dave Yacovone (D-Morrisville), a member of the House Appropriations Committee and a former commissioner in the Agency of Human Services. "If all of a sudden people can't find a job because they've lost VocRehab, it won't make the front page of the paper, it may not surface for quite a while, but it certainly has an impact." And if you're not into that humanity stuff, consider that people with jobs actually contribute to the economy and the tax base, instead of simply drawing on government assistance. Caserta Hutt acknowledges that relying on leftover federal cash was always a risk. "We knew they were one-time funds, and we did take a chance," she says. "I was reflecting on it myself and wondering if we should have done it, but that's ridiculous. Ten years of something is 10 years of something, and you certainly wouldn't want to walk away from the benefits it allowed us to create." In the short term, Caserta Hutt is performing triage. But the pain may be just beginning. As a whole, DAIL gets less than 7 percent of its funding from the federal government. But for VocRehab, that figure is a staggering 82 percent. That includes regularly budgeted funds, plus the end-of-year reallotments. The funding comes by way of the U.S. Department of Education, whose new secretary, Betsy DeVos, believes the entire department should be shut down. If that happens, or if there are "merely" significant cuts to its programs, there will be a lot more than 900 Vermonters with disabilities fending for themselves in the workplace.